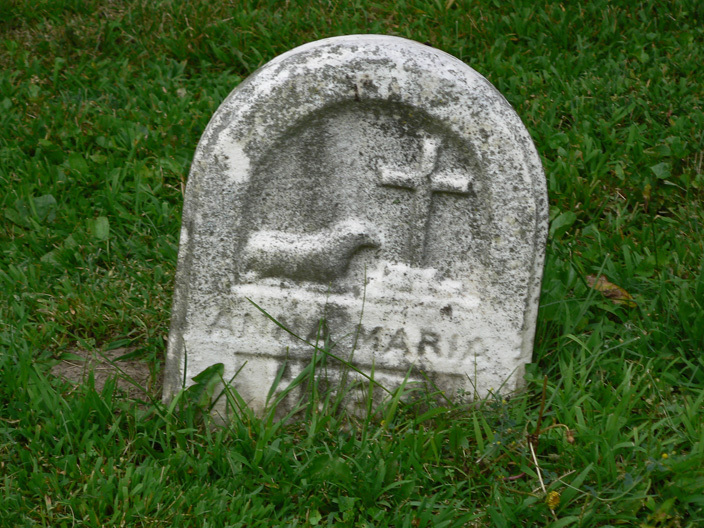 This is a tombstone for Anna Maria. 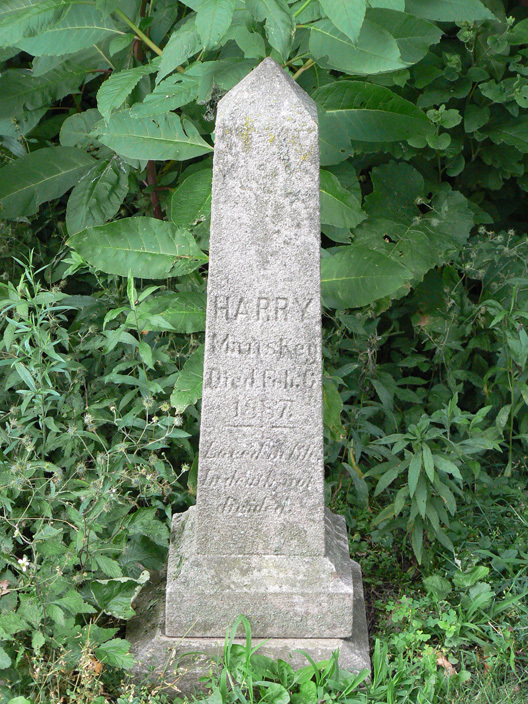 The surname is partially in the ground and is covered by grass. I’m guessing she was a child when she died since there is a lamb on the stone. She is buried in St. Joseph’s Cemetery in Bloomington. This tombstone is a little hard to read. 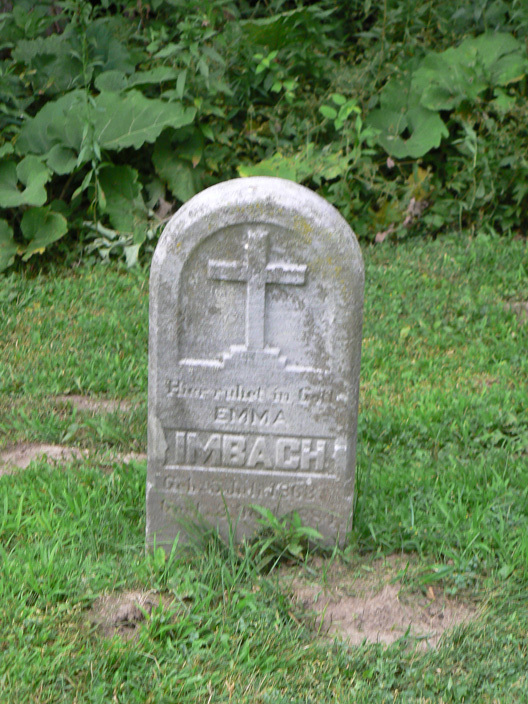 It is that of Emma Imbach. It looks like Emma was born in 1863 and died in 1881. Emma is buried in St. Joseph’s Cemetery in Bloomington. The inscription is very faint and is written in German. From what I can tell, the stone is for Joseph Pebry(? ), who was born in October 1905 and died in February 1906. 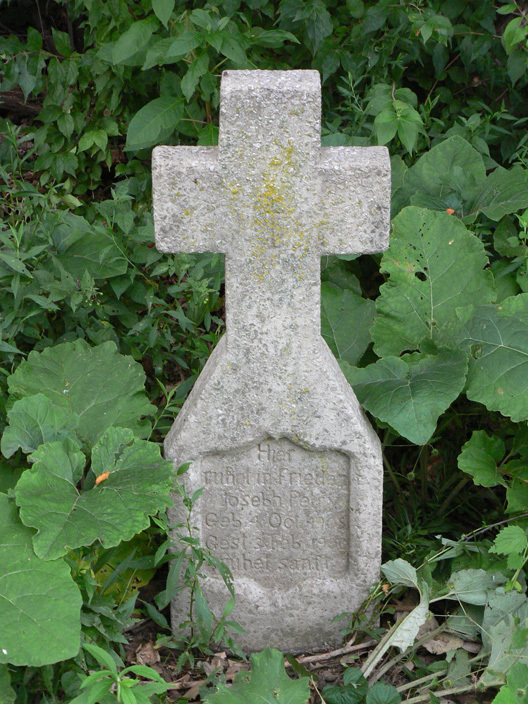 Joseph is buried in St. Joseph’s Cemetery in Bloomington.